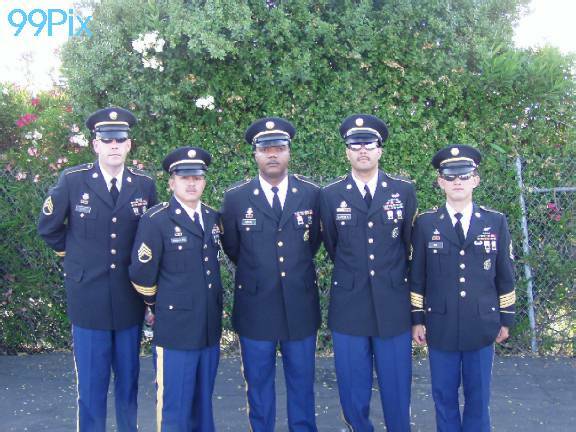 The U.S. Army color guard marched to the start-finish line, raising the American flag in support of Armed Forces, and officially kicked off the celebration of "U.S. ARMY NIGHT" at Stockton 99 Speedway last Saturday. From there, the night belonged to Modesto’s Harry Belletto. The seasoned veteran led 29 of the 30 laps for his fourth Western Late Model victory this season and his 81st checkered flag overall. 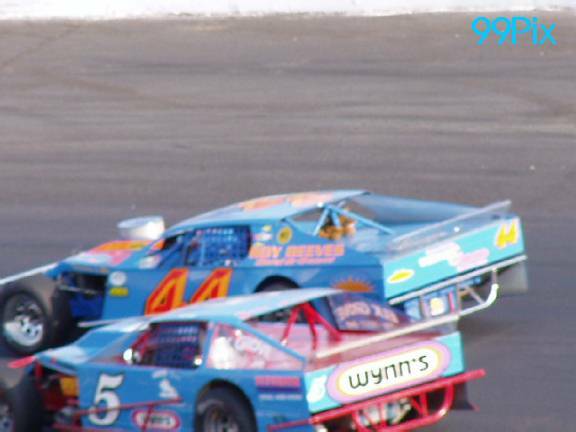 Belletto, #74, has also won two of the last three races during the 25-week NASCAR Dodge Weekly Series. He remains one of five WLM drivers to win main events this season. Belletto took the lead away from Dave Byrd, #9, of Pacific Grove on lap 2 and never relinquished his position. Byrd, who won the dash and had the fastest qualifying time, finished second ahead of Roseville’s Eric Schmidt. 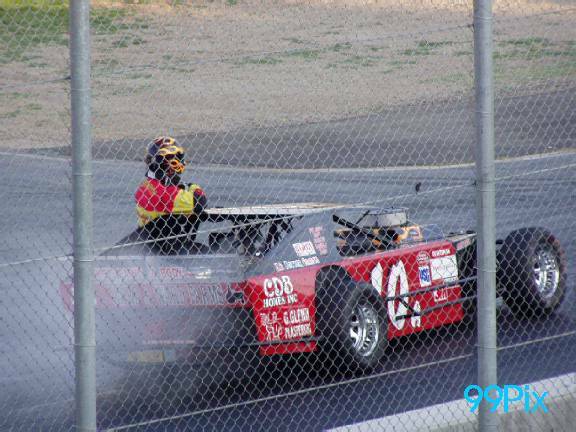 In the Grand American Modified division, Citrus Heights’ Jay Linstroth, #10a, who was currently second, blew his left-front tire on lap 26 restart and eventually blew his chances of winning for the fourth time in 2003. 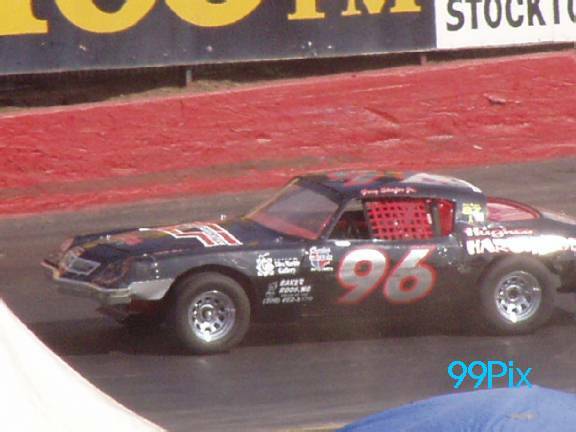 Instead, Sacramento’s Jason Philpot, #5, led the final four laps for his second 30-lap main event victory of the season. Salida’s Sam Solari, #6, finished second despite leading nine laps. 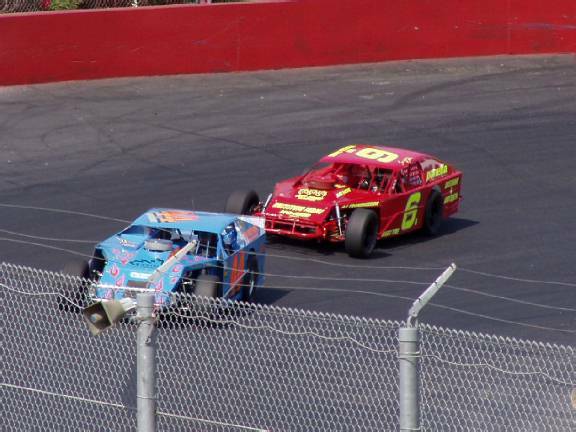 Stockton’s Joey Stearns was third and Stockton’s Buzz Devore placed fourth in a race which featured seven lead changes including five through the first nine laps. Stockton’s Gary Shafer Jr., #96, continued his dominance of the Pure Stocks, coasting to his fifth main event victory in eight races this season. Shafer Jr. led the final 28 laps after diving inside of Stockton’s Chad Holman on turn 2 of the caution-free race. Holman managed a second-place finish. Lodi’s Michael Wendt was third in front of Stockton’s Richard Harper. Lodi’s Jeff Ahl, who had finished fourth, was disqualified after check inspections. 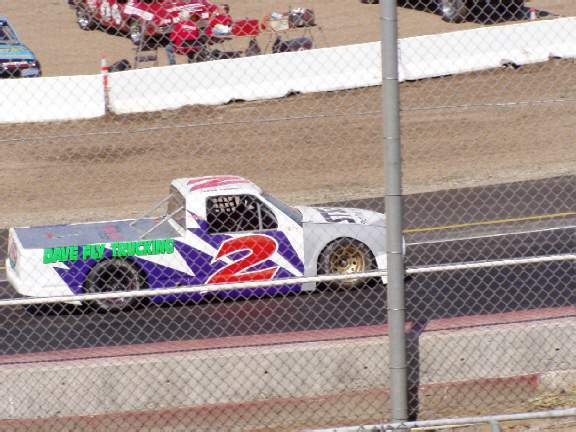 With only four of 11 Pro 4 Trucks remaining in the 25-lap main event, Todd Lewis, #2, of Riverbank became the fifth different winner in as many races. Lewis gained his first lead on lap 22 and led the final three laps for his first win of the season. Modesto’s Tim Lewis finished second and Saratoga’s Carrie Miller recorded a third-place finish after a roller coaster race. Miller bumped and spun out leader Michael Brooks Jr. on lap 8, forcing her to move to the back of the field. After weaving into position, Miller regained the lead on lap 13 before slipping off the pace nine laps later. 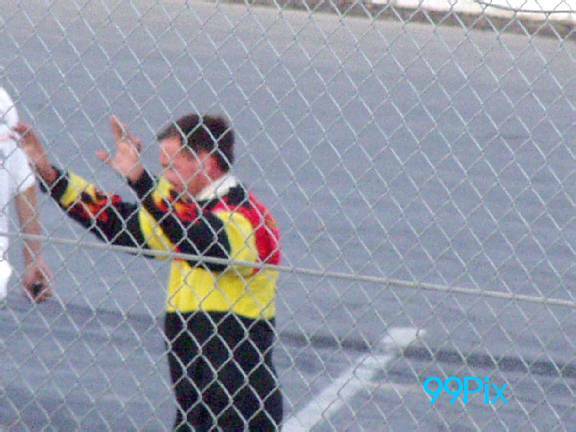 Stockton 99 Speedway will be closed this Saturday night. 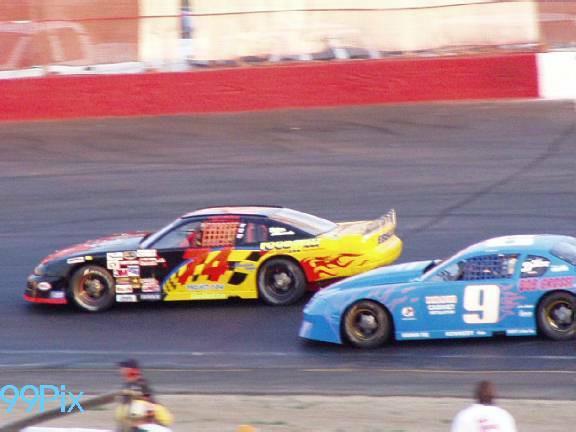 The following week, June 28, Stockton 99 Speedway returns to its regular schedule on "U.S. GYPSUM NIGHT" with Western Late Models, Grand American Modifieds, Pure Stocks, Pro 4 Trucks and the Legend cars revisit the Speedway after a week off. 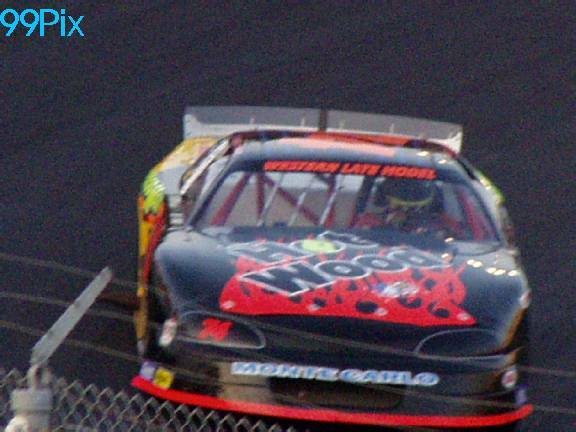 It will serve as the final tune-up before the second leg of the "HOT WOOD TRI-HOLIDAY FIRECRACKER 100-LAP CLASSIC" for Western Late Models, which will take place on Thursday evening, July 3. 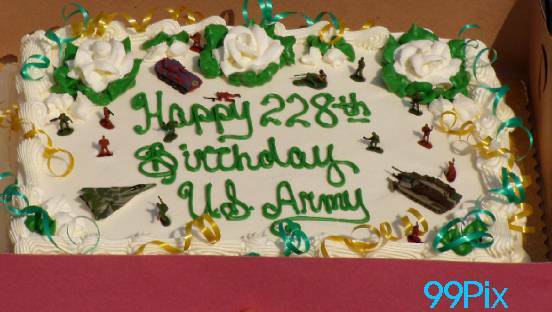 The evening’s entertainment will be capped of with an aerial fireworks display.